The Staunton Chessmen History dates to the Spring of 1849 when the design was registered to Nathaniel Cooke. The Staunton Pattern was later manufactured and offered to the public for sale in the Fall of 1849 by the company of John Jaques of London. 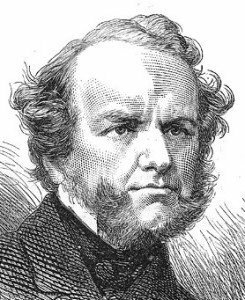 The design of the chess pieces was named after the self-proclaimed world champion, Howard Staunton, an English Shakespearean scholar. Whether or not the design was actually the brainchild of Cooke, Jaques or Staunton is open to much speculation. It is relatively clear to this writer that the pattern was not designed by the egotistical Staunton, as he never laid claim to such. What is known is that, on 1st March, 1849, Nathaniel Cooke, 198, Strand, London, registered an Ornamental Design for a set of Chess-Men, under the Ornamental Designs Act of 1842. At that date, there was no provision for the registration of any design or articles of ivory, registration was limited to Class 2, articles made chiefly of wood. The right to manufacture such sets was acquired by John Jaques and he began to supply the retail trade on 29 September, 1849. On the same day, the following advertisement appeared Illustrated London News: AA set of Chessmen, of a pattern combining elegance and solidity to a degree hitherto unknown, has recently appeared under the auspices of the celebrated player Mr. STAUNTON. A guiding principle has been to give by their form a signification to the various pieces – thus the king is represented by a crown, the Queen by a coronet, &c. The pieces generally are fashioned with convenience to the hand; and it is to be remarked, that while there is so great an accession to elegance of form, it is not attained at the expense of practical utility. Mr. STAUNTON’S pattern adopts but elevates the conventional form; and the base of the Pieces being of a large diameter, they are more steady than ordinary sets. @ Illustrated London News, September 8, 1849. More information on the John Jaques Company can be found by clicking here. Jaques Staunton Chess Piece Configurations. Hare are some things to look for when contemplating your Jaques Staunton Chess set acquisition. Jaques made many chessmen designs. The most valuable of the Jaques Staunton chessmen were produced between 1849 and 1851. These sets were first offered in Boxwood and Ebony, Ivory (very valuable) and Wedgwood Carrara. The Carrara Staunton chessmen are, by far, the rarest and most valuable. Only two Carton-Pierre caskets with the white Carrara Labels and four Wedsgwood Carrara chess pieces (one Queen, Two Rooks and Two Knights) are known to exit. The interested reader can find more information on the Wedgwood Carrara chessmen by clicking here and downloading the article by clicking on the Wedgwood Carrara link. A more detailed guide on collecting Jaques Staunton chessmen can be found by clicking here.